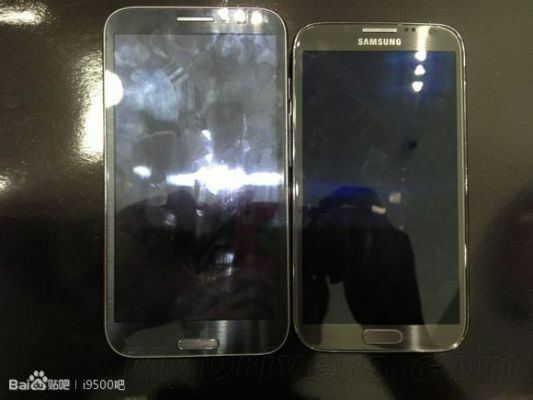 As predicted, the Samsung Galaxy Note 3 will not hit the 6″ size barrier, but it will increase its display size from the Samsung Galaxy Note 2, and will get very close to the 6″ mark, featuring a 5.9″ display. The size of the display was fully expected for two reasons. One, because they couldn’t keep the new Note the same size as last year, considering the Samsung Galaxy S4 increased in size, too. And two, it couldn’t break the 6″ barrier, because then people might think of it as a full fledged tablet, and not even a “phablet” anymore. Of course, due to its significantly larger size, that doesn’t mean people won’t see it as a full tablet anyway. The phone is also rumored to include a higher clocked Samsung Exynos 5 Octa chip, at 2 Ghz for the ARM Cortex A15 cores, while maintaining the ARM Cortex A7 cores at 1.2 Ghz. I can’t say I’m surprised by the 2 Ghz clock speed, considering Nvidia is already launching the Nvidia Tegra 4 at 1.9 Ghz earlier than the Galaxy Note 3, so Samsung gets a little more time to increase the performance of Exynos 5 Octa and optimize it for power consumption. It will also sound great in marketing campaigns, when they will promote it as a quad core 2 Ghz device. The Qualcomm Snapdragon S800 will also be clocked at 2.3 Ghz, but I expect the Exynos 5 Octa to beat it in performance, and also beat anything Intel puts out this year, from the Atom line-up. The device is also rumored to have 3 GB of RAM, which may sound unbelievable to some, but I also think it makes sense at this point in the mobile technology cycle. I also fully expect next year to see 4 GB of RAM in smartphones and tablets, once they start moving to the 64 bit ARMv8 architecture. What’s the point of more RAM? Well, browsing eats a lot of RAM resources these days, especially if you like to open up a lot of tabs, in a browser like Chrome for Android. Other apps also get more advanced and require more RAM, there aren’t many that would require anywhere near as much, so the hardware is definitely ahead of software here. The phone should be announced at IFA this year, as usual, and released sometime in November, at least in some countries and on some carriers. Previous: Facebook Lost 9 Million Users in Core Markets in 6 Months. Is This the Beginning of a Trend?